After a second consecutive race with no points to show for his efforts - despite a storming drive through the Monza field - Kimi Raikkonen heads to Singapore pumped and ready for the challenge ahead. It's now been announced where you will drive next year; how does that affect the rest of your season? Kimi Raikkonen: Hopefully it means I won't be asked so much where I'm driving next year, but maybe it means more questions. For my racing this season it doesn't make any difference. I'll keep pushing at every race to get the best result I can. Are you looking forward to the Singapore Grand Prix? KR: I really like going to Singapore. It's a great place to be, I love the local food, and I don't mind the unusual times we run in the car as it means I don't have to get up so early. I have some unfinished business after my three Grands Prix there so far, as I enjoy the circuit but have not yet had a podium. That doesn't mean I'm not quick there as I've been told I still hold the lap record from 2008. I crashed while fighting for fifth place that year, finished down in tenth in 2009, and took sixth last season, so I want more this time. What difference does it make racing at night? KR: In the first years of the race being held I was a little bit surprised by how people were talking so much about the different timing. Obviously when they switched on the lights it was exactly the same as racing in the day time. I think everybody in Formula 1 enjoys the night race. It's worked out really well as Singapore is a buzzing city and lots of people turn up. Apart from one or two dark spots in the run-off areas the circuit is very well lit, so there is not a big difference to racing in the day. Regardless of being at night, it's a street race; what effect does this have? KR: Monaco was not that good for us but there is no reason why Singapore should be difficult. Like at every street circuit it's very difficult to pass other cars there, so starting the race as high as possible on the grid is very an important factor in getting a good result on Sunday. 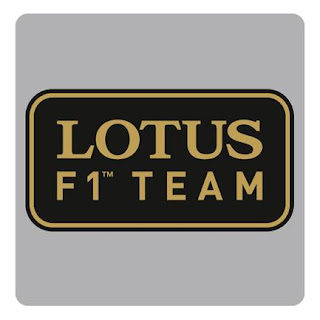 How do you think the circuit will suit the E21? KR: Everybody will bring updates to this race so we'll have to see what difference that makes. It's a case of trying to get the maximum from our package and working on achieving the best balance. If we get everything right we should do okay. Any worries about the weather? KR: We saw rain last year in Singapore and it's no secret that our car sometimes struggles in wet conditions. It's something we'll deal with if it happens, and as always the weather is the same for everyone. Is it good to be back to a higher downforce layout? KR: After these two weekends with zero points it's nice to get back to a circuit we expect to be more suited to our car. We seem to go better at high downforce circuits that's for sure. The car actually worked surprisingly well at Monza during the race so it was a shame we lost so much time at the start. After getting the new nose, our race pace was not too bad. What's your target in Singapore? KR: Obviously, the podium is a target again. We've had two races without scoring any points so we need to score as many as we can in the remaining races this season. How are you feeling about your Championship charge? KR: You don't win Championships by not scoring points. We've had two races where we haven't scored which is not ideal. We're here to race and score as many points as we can. Of course, that's what everyone is trying to do so we just have to keep pushing and hope that we have some pretty good races for the rest of the year, then we'll see where we end up in the standings. After a solid if unspectacular end to the European season, our man Romain is relishing the challenge of the Marina Bay Street Circuit as he aims to get right back in the podium mix..
What are your thoughts heading to Singapore? Romain Grosjean: Singapore is a pretty fantastic place and the race is always a challenge. I love street races; there's something about racing in the middle of a city. We race at night which means it looks amazing for the fans, but in the car there's not so much of a difference for us as drivers as the lights make it seem like it's daylight on track. Another thing I look forward to when visiting Singapore is the noodles! What are the differences for you as a driver for this event? RG: The difference for us is our schedule over the weekend, as we stay on European time and try not to adjust to the local time zone. To do this we arrive in Singapore a bit later than we would for other flyaway races, where we would normally arrive early in order to get our bodies working on the local time and avoid jetlag. This means we can get a good amount of sleep, including sleeping in late relative to the local time. The race usually has the longest duration of the year; are there any particular preparations you have to make for this? RG: Our regular fitness programme means that the race lasting longer than others should not be a problem, but something you have to prepare for in Singapore is ensuring you always keep well hydrated as the heat and humidity can easily dehydrate you. How challenging is the circuit? RG: It's a fun layout to drive, with the last section being my favourite part of the track. It's certainly a physical race, with lots of kerbs, some bumps on the track and frequent use of the brakes. It's certainly not a circuit with a long straight where you can take a rest! The layout and the fact it's a street course don't make it easy for a driver or the engineers. It can be difficult to find the amount of grip you want so we have to work hard to get the setup working well. There isn't much margin for mistakes as the walls are very close, but this does mean that there's a great feeling when you get a good lap as it's very special to be driving at the limit around a street course. Do you think this is a track that should suit both yourself and the car? RG: I think so, yes. It's a very high downforce track and that seems to suit us best as we saw in Budapest. In terms of the tyres I think we should be looking good too. Certainly, we should be able to perform stronger than at the last two races which haven't always suited our car. There's a lot of talk and movement in the driver market at the moment; how does this affect you? RG: I am keeping focused on this season by doing the best job I can for the team and showing my value on track. Singapore marks the first of seven flyaway races to end the season; how do you want to end your year? RG: We have some fantastic races ahead and it's going to be a busy couple of months. I'll be pushing to do the very best job I can and I know the race team and everyone at Enstone wants to finish this season with the strongest results possible, so naturally we want to get back on the podium as much as possible.